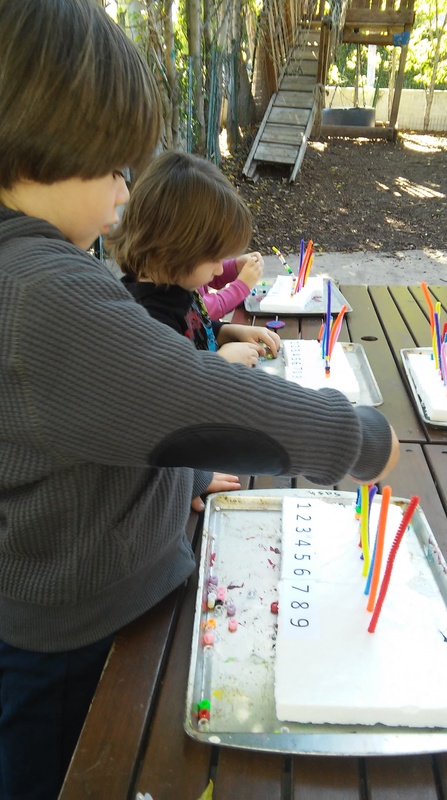 Our students are introduced to sorting and classifying in an array of activities we do continuously throughout the week. 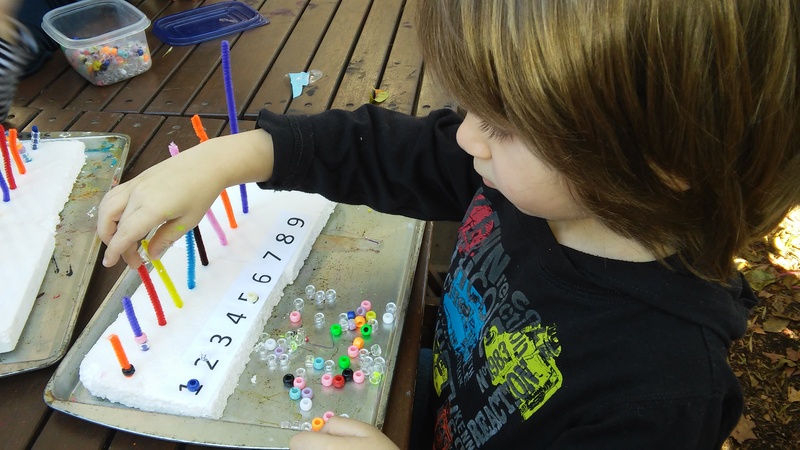 These activities provide students with opportunities to develop logical reasoning skills as well as demonstrate divergent (independent) thinking. For this activity, we sorted beads by number using pipe cleaners. 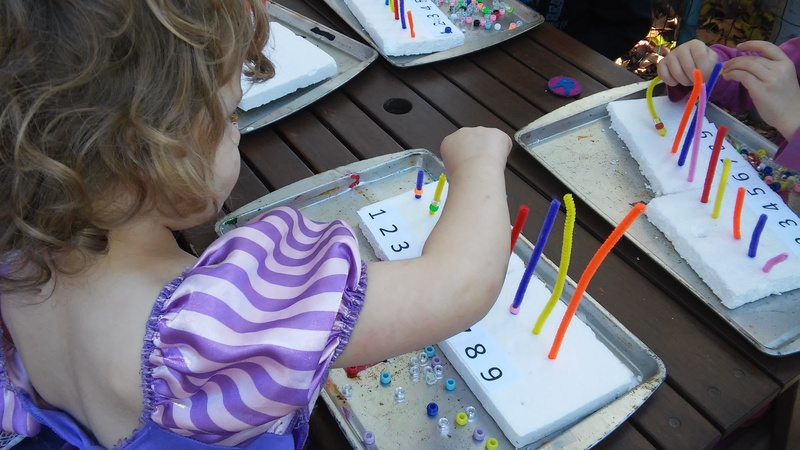 Students slid a number of beads onto each pipe cleaner, counting as they did so and matching the amount to the correct numeral.